Watch out Mapleton, here come the Vikings. 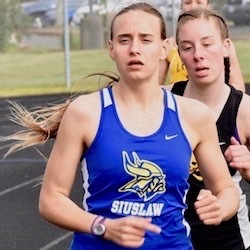 The Siuslaw track and field team will compete Tuesday, April 16, against the 1A Sailors and Crow Cougars. 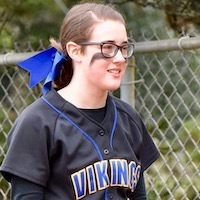 "We went there in 1996, my first year here," Siuslaw coach Chris Johnson said, trying to recall the last time the Vikings competed at Mapleton. "Not sure if we did after that." 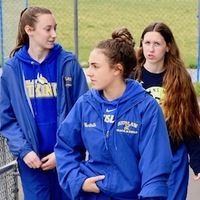 Field events start at 4:30 p.m., track events at 5 p.m.
Siuslaw has cancelled its participation in a Sky-Em League JV Meet for Wednesday, April 17, at Marist. Siuslaw is scheduled to host a Sky-Em League JV Meet on Tuesday at Hans Petersen Field. Nine schools are entered, including all six league members. Also entered are Harrisburg, Pacific and Triangle Lake. Field events are scheduled to get under way at 3:30 p.m., track events at 4 p.m.